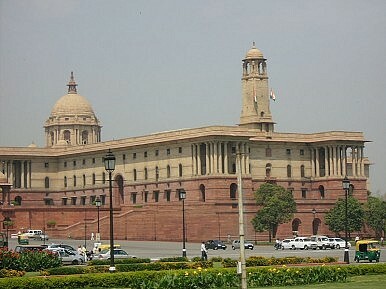 India’s legislative agenda faces paralysis. An opposition BJP desperate for power is the main culprit. India may be the world’s largest democracy, but that doesn’t necessarily mean it’s a mature one. You just have to look at the mistrust and disagreements between the ruling party and the rightist opposition, which has made governing extremely difficult. Indeed, major legislative business has suffered to such an extent that very few acts have even been passed over the last several years. The main opposition Bhartiya Janata Party (BJP) should take much of the blame for this, having shown itself unable to conduct parliamentary sessions smoothly since it lost elections in 2004 and then in 2009. And the current session of parliament, which started earlier this month, also seems to be going nowhere, especially with the opposition alliance deciding to boycott Home Minister P. Chidambaram over his alleged role as finance minister in the sale of 2G spectrum. Chidambaram, who has been largely successful in containing terrorist activity as home minister, is apparently drawing fire from rightist opponents because of his no-nonsense approach to Hindu terrorist groups operating in the country. From the BJP’s point of view, of course, there is method to its madness. The Congress-led United Progressive Alliance government is already in crisis over a series of scandals in the past couple of years, and the opposition is hoping to precipitate a crisis by paralyzing the government. The ruling alliance, meanwhile, is hoping to introduce some far reaching legislation in the current winter session of the parliament, to try to wrest back the initiative it has lost over the last two years. In a sense, the conduct of the opposition simply demonstrates its desperation to return to power. This is clear among both the younger and older generation within the party. While senior BJP leader Lal Krishna Advani still fancies his chances of being the next prime minister at the ripe old age of 84, less seasoned politicians, mostly in their 50s, are also desperate to end the long wait to taste the fruits of power. The problem with all this is that the rightists don’t have a constructive agenda of governance – they are so busy highlighting the negative aspects of the government and its policies that they’ve failed to project any alternative plan or vision. And while the high drama of Indian politics continues, it’s those who are most in need of the government’s help who are suffering most. India should be setting an example for other democracies in South Asia, not imitating them. It’s more than time that the country’s politicians moved beyond petty point scoring and established an agenda for moving the nation forward. The alternative is to let the current paralysis solidify and become ingrained as the norm. That would be a “new normal” that no one would benefit from. The Congress Party is promoting a plan for direct subsidy payments ahead of the 2014 general election. A Delhi Warning for Congress? BJP in Crisis?India’s Election WarningGetting Past Federalism PoliticsAnna Hazare a Hindutva Project?